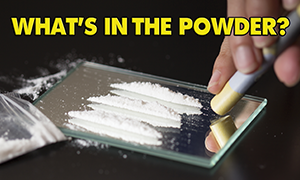 A number of different types of drugs come in white powder form. When buying illicit white powders you can never be fully sure of the contents. A range of new psychoactive substances have been found in drugs sold as cocaine, amphetamine and MDMA. 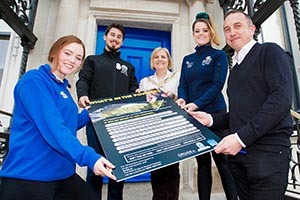 The 'What’s in the Powder?’ campaign is a collaboration between three Dublin Universities, DIT, TCD, and UCD and drugs.ie and the Ana Liffey Drug Project. Resources created include posters and fact sheets that have been distributed on campus and promoted on social media and on the drugs.ie. Generally, white powders are uppers (stimulant), downers (sedative) or trippy (hallucinogen). It is less risky to start with a small test dose to see what effect the drug has on you. However, you cannot remove the risk entirely; small doses can also be dangerous. Not all powders are suitable for snorting. Plan how you will take your powder in advance. Wait 2 hours. Some drugs take longer to take effect than others. Use your own tooter. Sniffing off unclean surfaces such as toilet seats/phones and sharing your tooter increases the risk of getting infections including blood-borne viruses. Rinse out your nose with water afterward. Some powders clump in the nose and drip down the throat. Ketamine, in particular, can cause harm to your stomach. Rehydrate with water or isotonic drinks regularly, but don't go over a pint per hour. If dancing, take regular breaks. Avoid mixing with other drugs including alcohol and prescription medication. Mixing drugs can be unpredictable and may place greater strain on your heart or other internal organs. Seek help if needed and be honest with emergency services about what you think you've taken. The campaign was launched by the Lord Mayor of Dublin, Criona Ni Dhalaigh, in The Mansion House, Dublin on April 1st 2016. Kildare FM: Ireland's Drug Problem "Beyond The Point Of Crisis": Ana Liffey Drug Project.